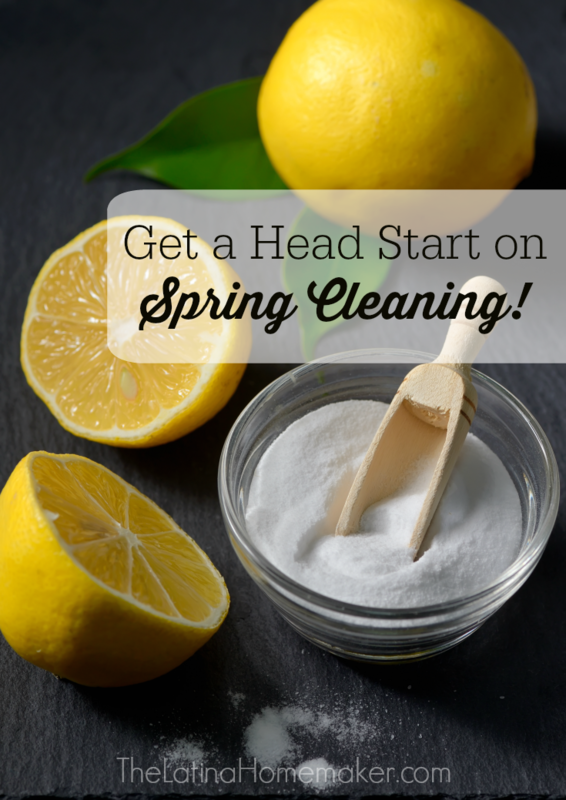 Tips to help you get a head start on spring cleaning so you can focus on enjoying the season! Since I spend a lot of time indoors managing a home business and homeschooling my son, the last thing I want to do with my free time is clean. Plus nobody wants to be stuck indoors cleaning when it’s beautiful outside. As a busy mom, I have a love/hate relationship with spring cleaning. I love having a tidy and clean home, but trying to fit everything into my already busy schedule can be a challenge. Over the years I’ve learned how to manage household tasks without devoting several hours to the process. Today I’m sharing my favorite ways to get a head start on spring cleaning so you can focus on enjoying the season. Create a plan and start tackling projects now instead of waiting for spring to arrive. I prefer doing this since I like to spread out household tasks over several weeks. If I have a larger project to tackle, I can easily break it down into smaller tasks over several days. Grab a planner, or notepad, to schedule tasks that you want to complete. You also need to be realistic when creating your plan. It’s not a race and it’s OK if you need to skip a day or two. Grace is priceless, my friends. Too many people focus their efforts on getting organized only to find out that their system failed. Instead of shuffling things around or placing them in bins, take the time to sort through the clutter and purge without reservation. It’s interesting that so many families today feel they need a bigger home but are also hanging on to things they truly don’t need. 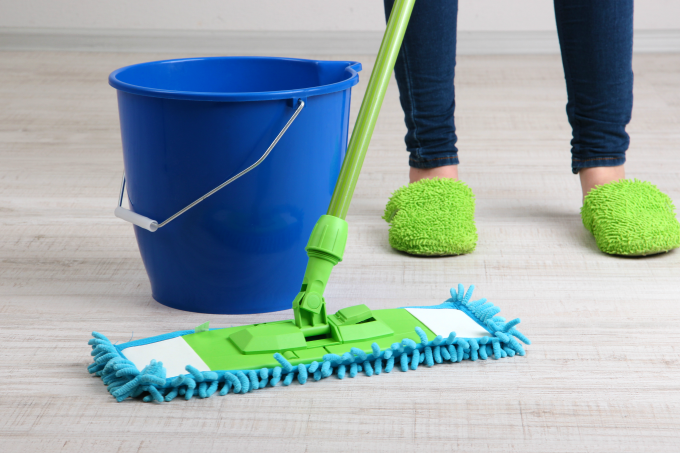 Before you start cleaning or organizing, get rid of the excess and the process will go much smoother. Batching tasks together simply means that you work on similar tasks for a set period of time. If you’re cleaning the floors for one hour, that’s all you do. You don’t answer phone calls in between, you don’t try to fold laundry, nor prepare lunch. I find that this process helps me focus and get tasks done quicker. When it comes to spring cleaning, not only do I batch tasks, I also like to give my undivided attention to one space at a time. This method works out best for me and enables me to get done faster. I know this one can be hard if you’re a bit of a control freak, but allowing your family to help can be the best thing you do for yourself. It may not meet your standards or be done as quickly as you hoped for, but having one less thing to do makes it all worthwhile. I have no problem assigning tasks to my kids, and that includes my preschooler. My husband also gets involved and has his own to-do list. This is OUR home, so it’s all hands on deck when it comes to taking care for it. 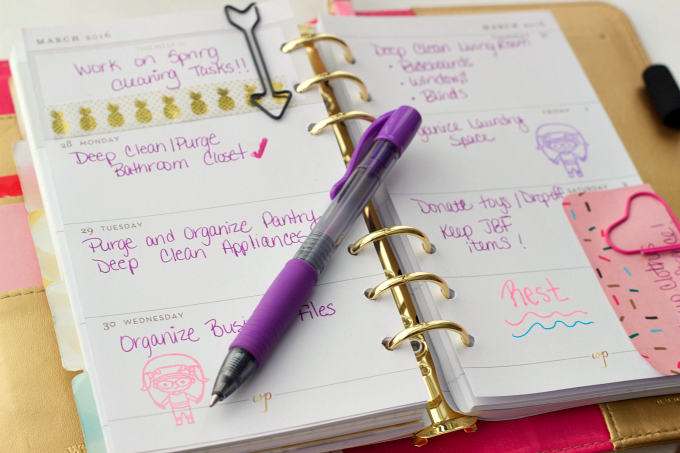 What are your favorite spring cleaning tips and tricks? I’d love to hear from you! « JOIN THE TURBOTAX #TURBOTAXGIVESYOUMÁS TWITTER PARTY ON 3/12 @8PM EST!